For lazy Sunday mornings I love to have "breakfast breads". You know ... bagels, muffins, croissants, etc. 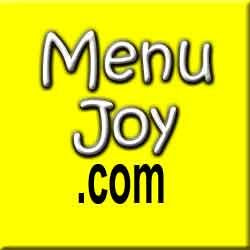 I especially love to eat a nice brioche roll or popover. But alas, brioche or popovers are never to be found. At least not in the markets or bakeries around my hometown. But I did know where to find some as I'd seen them there before - Pie in the Sky Bakery and Cafe. So on a dreary, unusually warm, late Saturday afternoon, we set off for the Cape. 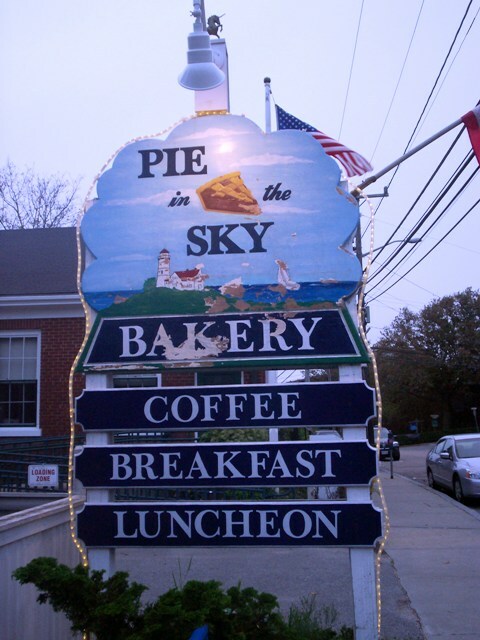 Pie in the Sky Bakery is in lovely and quaint Woods Hole, MA. Nestled into its own woodsy cubby hole on the main street, very close to the water and all those research boats, it's a hub of activity. On this particular day, the line was out the door and we had to return until we could get inside. Why the crunch? I suppose it's all those beautiful breads, pastries and gourmet sandwiches they're putting up. Huge croissants in several varieties, large cookies and whole apple pies fill their cases. But we were here for the illusive popovers and brioche. We're thrilled to report they had both and we bought both. I couldn't wait for Sunday morning to roll around. Look how big that popover is. It looks like a chicken leg, lol! And they were all that huge. So, how did they taste? Wonderful. The brioche roll was dense, slightly sweet and nicely chewy. 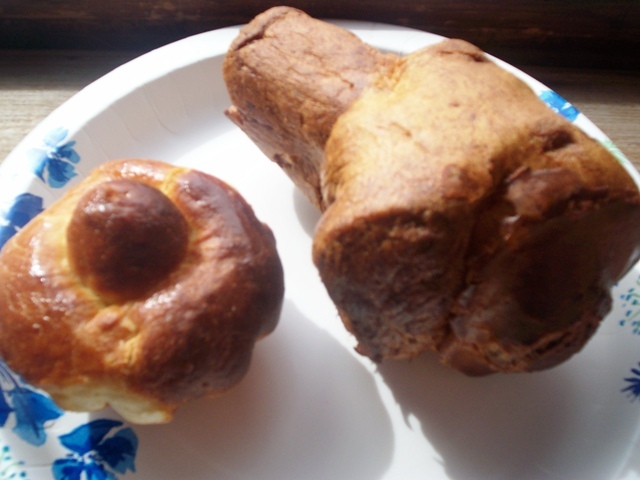 The popover was soft and eggy with a custard-like texture. They were so tasty and made a great start to the day. I wish they were available in my area. But then I wouldn't have to go Woods Hole to eye all the oceanographers and scientists, er, goodies. Take the ride to Pie in the Sky. You'll be glad you did. I was!